Adware applications may not be dangerous computer threats, but they should not be allowed to stay on your system, because they often come in packs, and with one application installed, you are bound to have a few more soon. Quite a few of adware applications will make use of Static.onlinefastpaydayloan.com adware server to generate and display annoying pop-ups. These pop-ups are supposed to promote useful updates and what not, but in reality they only make you download more adware onto your PC. If you wish to remove Static.onlinefastpaydayloan.com, you need to get rid of all the adware programs first. It is highly probable that you have installed an adware application responsible for Static.onlinefastpaydayloan.com ads accidentally. Adware programs are usually bundled with freeware apps, or the download link is embedded into pop-ups that spring into action on adware-ridden web pages. Either way, in order to avoid Static.onlinefastpaydayloan.com and other similar adware websites, you should refrain from downloading shareware and freeware applications from unknown pages. Also, it is important to read all the steps on installation wizard, because you might receive a notice about additional applications about to be installed on your computer. Unfortunately, these pop-ups often promise something they cannot deliver. 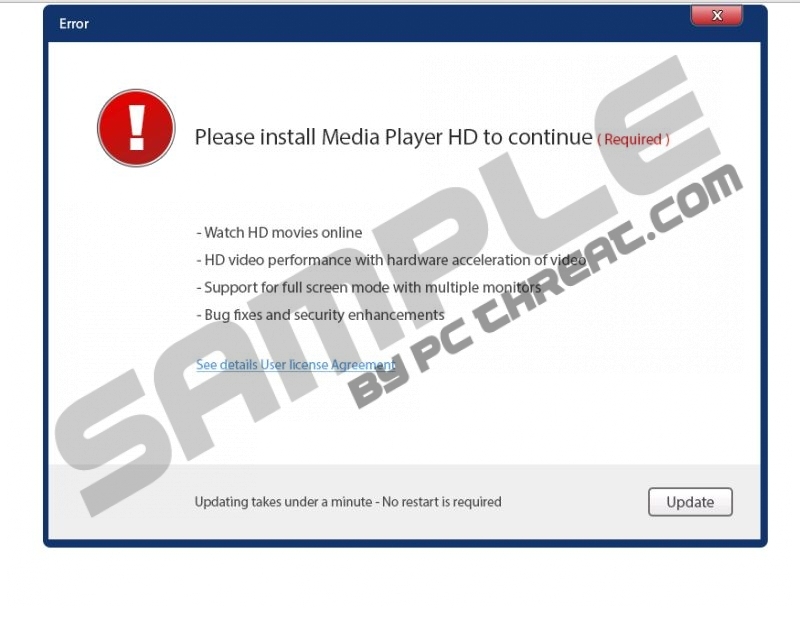 If you click to download the so-called “player”, you would actually initiate an automated download of a setup.exe file which would eventually infect you with even more adware applications. Our security researches suggest that any type of adware can make use of Static.onlinefastpaydayloan.com server. Some user reports maintain that Static.onlinefastpaydayloan.com is used by DealPly plug-in, but that is only one of the many applications that can generate pop-ups, virtually slowing down your browser. It is obvious that Static.onlinefastpaydayloan.com ads are really annoying, and they can actually expose you to potentially malicious content. Thus, it is necessary to remove an adware application responsible for it from your computer. Otherwise, you will not be able to get rid of Static.onlinefastpaydayloan.com ads. If you are not sure which adware program redirects you to Static.onlinefastpaydayloan.com, scan your PC with SpyHunter free scanner. A full system scan will detect any potential threats, and you will be able to remove them all in no time. Do what you can to ensure your PC is protected from harm. Open Add or remove programs and uninstall adware applications. Please leave us a comment below if you need any assistance with Static.onlinefastpaydayloan.com pop-ups removal. Quick & tested solution for Static.onlinefastpaydayloan.com removal.